Right in time for San Diego Beer Week, North County's Culture Brewing Co. is set to open its Ocean Beach tasting room at 4845 Newport Avenue on Saturday, November 8 at noon. 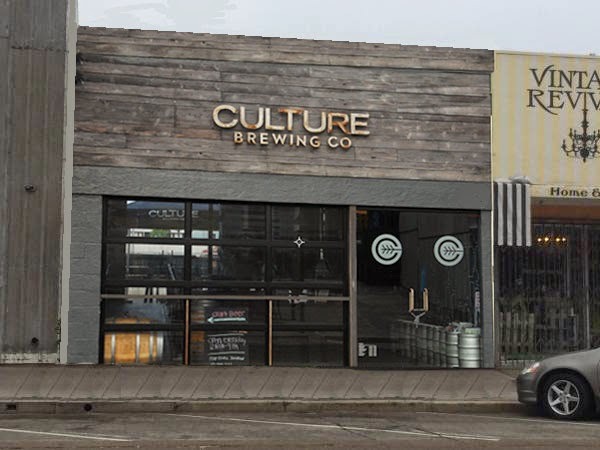 Located adjacent to the new OB Warehouse, Culture's new tasting room will offer 18 beers on tap by the end of next week, which will include a combination of barrel aged beers, sours, new styles (Coffee IPA, Citra Session IPA) and casks, some available on nitro. Tasters, pints and half and full growlers will be offered. The rustic, open-air tasting room will be similar to the original in Solana Beach and include local artwork wall features and wine barrel tables. Local food trucks will rotate to offer patrons grub to go along with Culture's brews. For more information, visit culturebrewingco.com.